This begins the series of posts on favorite sites and resources for anything doll related. 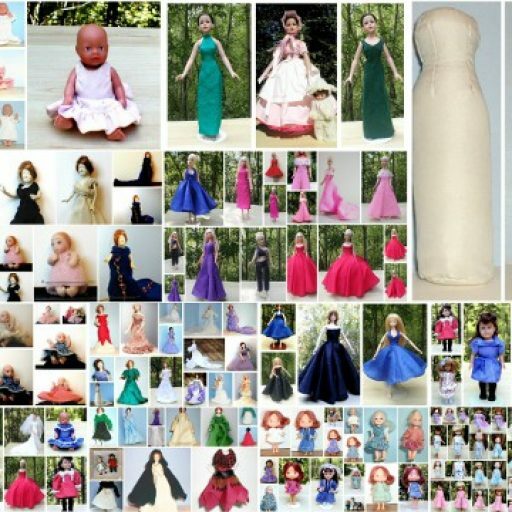 Some miniature doll resources and other for various other dolls or sewing supplies. Today’s favorite sites are Fabric Depot and Britex Fabrics. Fabric Depot is based in Portland, Oregon and boasts a wonderful acre of fabric, notions and craft supplies. To go into the store you should start when the doors open as you can be there for literally hours the first time. They have a variety of fabrics including tiny prints and natural fiber fabric suitable for doll clothes and miniatures projects. Their online site is a wonderful place to just sit and browse for hours and find many favorite fabrics that may not be available in your local fabric stores. Their staff has always been helpful both in person and via online or phone ordering and their prices are just right… perfect for spending just “a little too much but oh my it was on sale”! Britex Fabrics is located in the heart of downtown San Francisco and boasts 4 floors of fabric, notions and trims. The fabrics are very high quality and you can again spend hours just looking. The last time I was in Britex I was a poor college student and could only afford one tiny piece of trim which I promptly used on one of my early miniature dresses. Sometime soon I hope to visit again! I miss large fabric stores like Fabric Depot and Britex Fabrics but no matter what I LOVE living in Alaska… after all what is the internet for if not to order fabric from a distance!